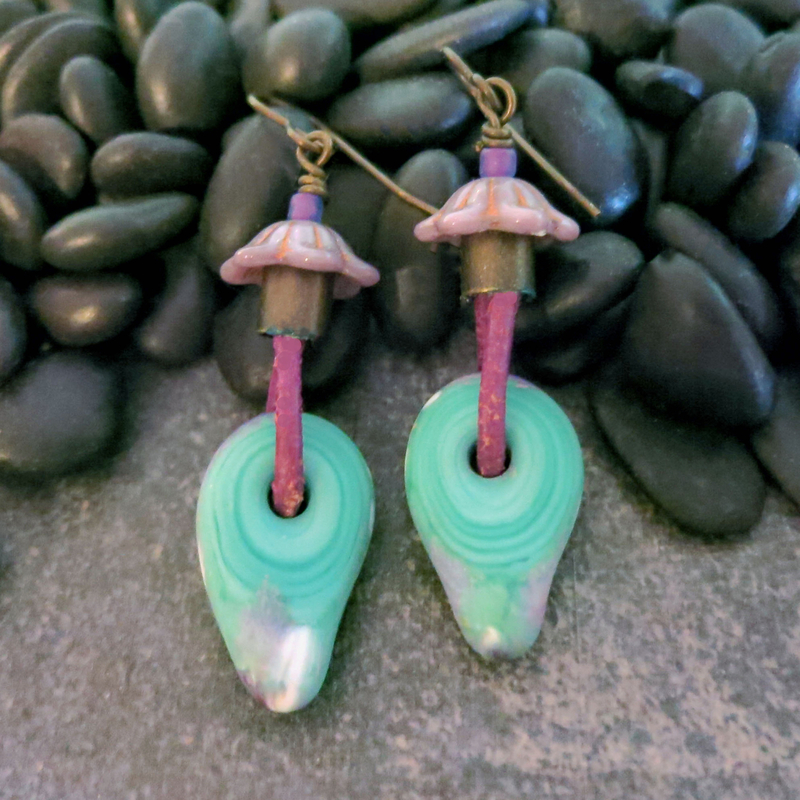 These one of a kind turquoise earrings are the perfect combination of fun and drama. 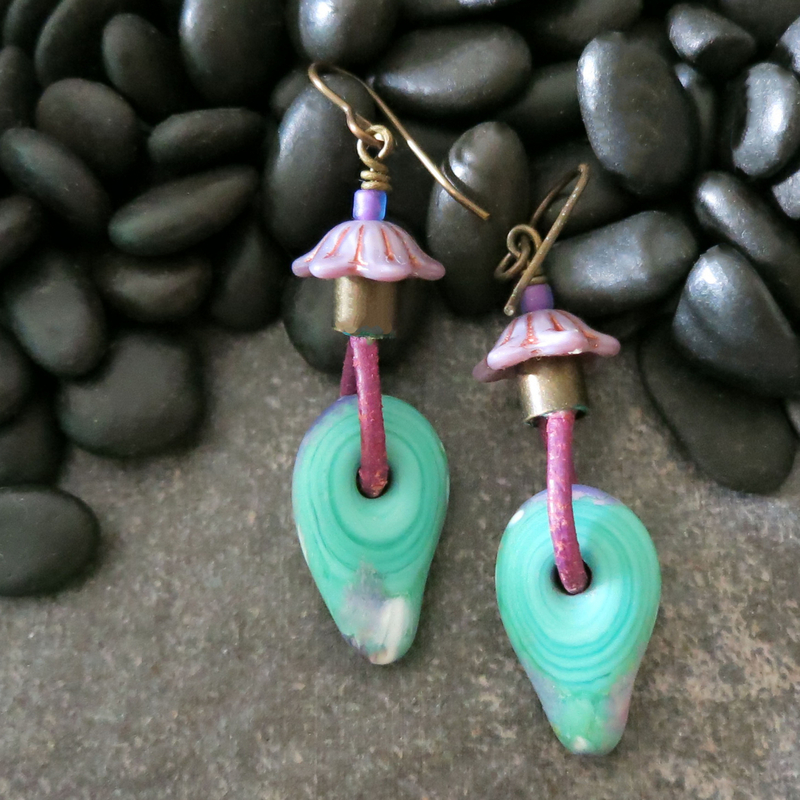 The unusual, handmade "drip shaped" glass beads are a vibrant turquoise that reminds me of the color of the Caribbean sea. 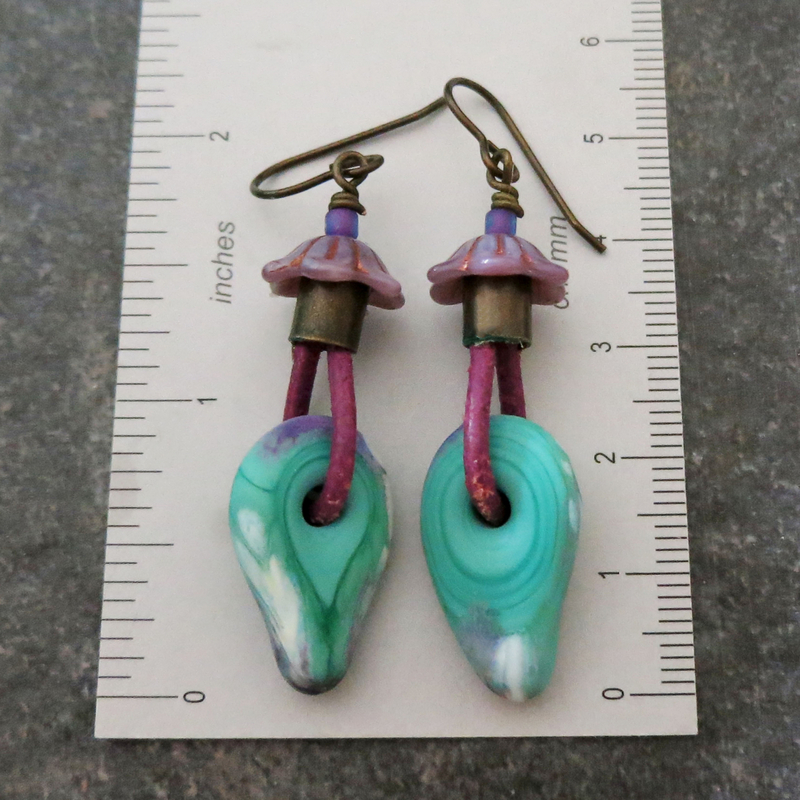 The glass beads are tinged with bits of purple and white around the edges which I highlighted by hanging the glass from purple leather cords. 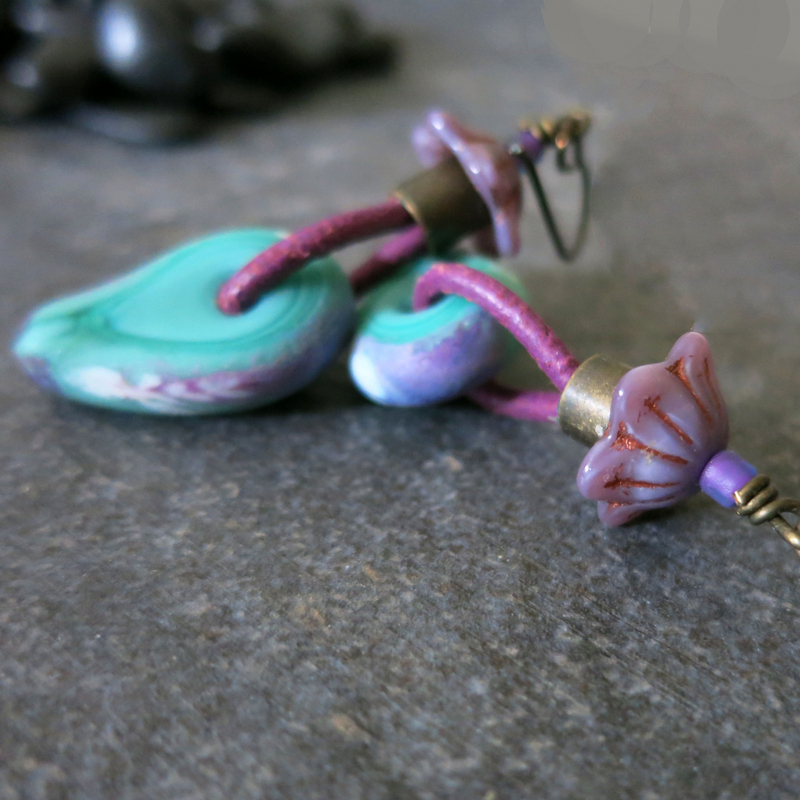 Then I topped the earrings off with lavender Czech glass flowers and a little accent bead. 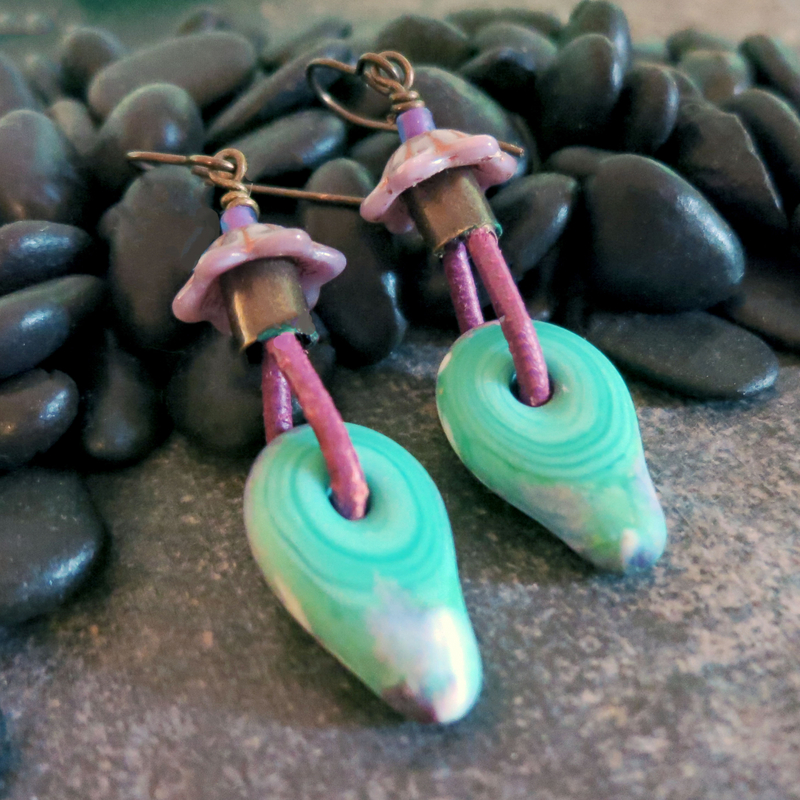 I made the antiqued brass ear wires as well.